We are delighted to be welcoming Glamorgan and Lancashire to the Penrhyn Avenue ground this summer. Dates for your diary are Sunday 18th August to 21st August, a four day Specsavers County Championship match. Information on Disabled Facilities available here. 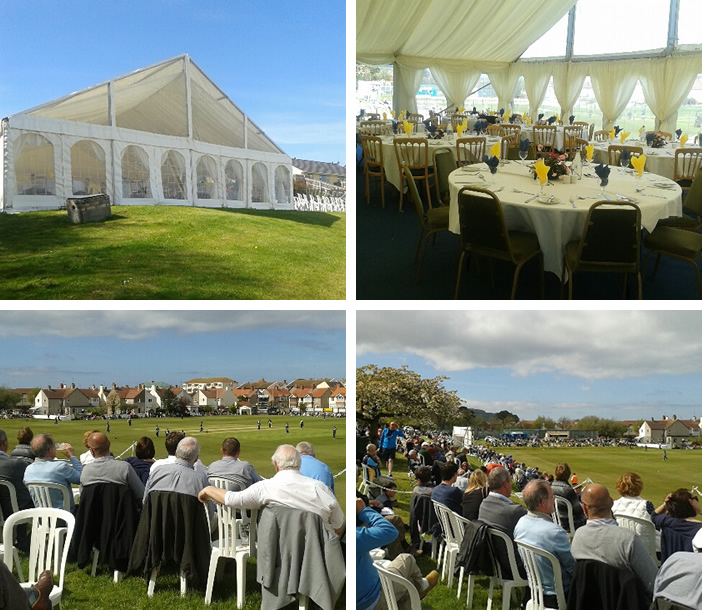 Booking form for Glamorgan v Lancashire Hospitality 2019 (see below). We are expecting sizable crowds especially on the Sunday, so book early to avoid disappointment. Tickets are available for all days on the gates, Adults £15, Students £10 and under 17s £3. Gates open at 930 each day, two on Penrhyn Avenue and one from the provisional carpark on Church Road, behind the school. Members of Glamorgan and Lancashire are welcome into the main pavilion by showing their membership cards on the door. Food outlets include the famous “Lamburger man” who has provided many lamburgers to our guests for many years; Vintage Kitchen with their delightful Citroen Van serving coffees, teas, cakes, sandwiches, pies etc. and a traditional ice cream cart peddling around the ground. Lager, beer, wine and soft drinks are available to the public from the Old Pavilion and the cabin.